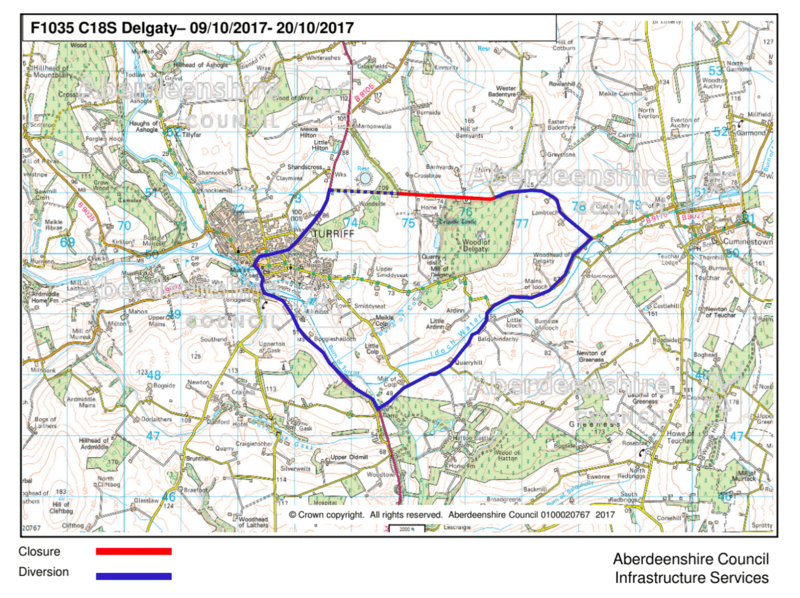 Aberdeenshire Council is going to be carrying out drainage work on the Delgaty straight which means the road will be closed for two weeks. The closure which begins on Monday 9 October will be in place between North East Boilers (U18S) and the Muiryfold junction (U17S). Access will be provided for emergency, and vehicles requiring access to properties but may be subject to delay until the road is cleared of construction plant to allow safe passage through the works. Access to Delgatie Castle will be maintained and signposted during the works.